Jennifer Brum is our hostess at Freshly Made Sketches. Jen’s cards are always so lovely – you should head over to her blog and check out her beautiful projects. I’ve tried a style for this card that is completely different to my usual over-layered flowery creations. I’m sure this style has a name but I’m going to call it my “Amy O’Neill style” 🙂 When I saw the sketch I channeled my inner Amy as I love the way she combines Gorgeous Grunge and banners. The colours I’ve used are Coastal Cabana, Basic Black and Smoky Slate – this will be a combination that I will use again as I just love it! 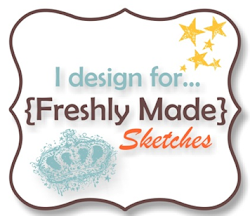 Head over to Freshly Made Sketches and join in with this weeks sketch. I can wait to see what you create! Narelle, I’m totally in love with this card. 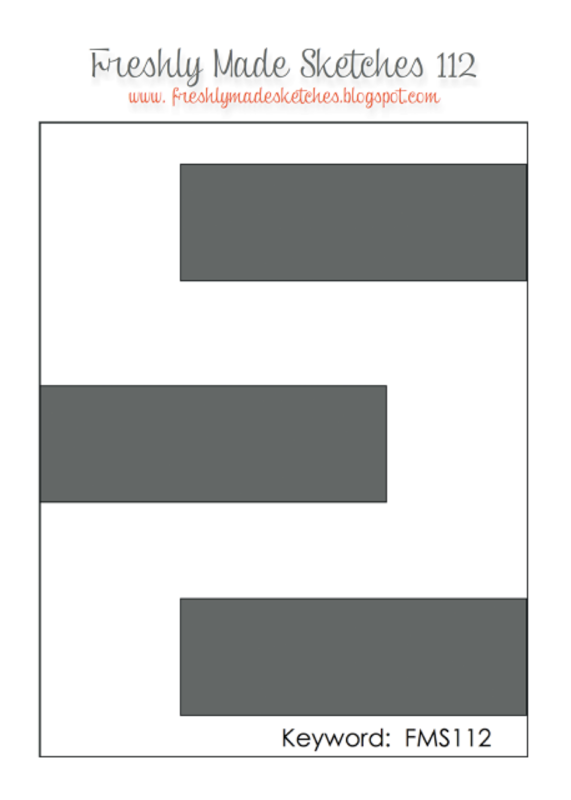 I thought about using Tape It, but after seeing your card I knew I couldn’t come close to making it look this good. Fabulous, fabulous card! This card is absolutely fantastic! I love how you layered all the washi stamps added stars and a button and still made this look CAS. That’s a real gift! You sure know how to rock a sketch! This is absolutely wonderful….and then some! Love the color combo – love the design – perfection! 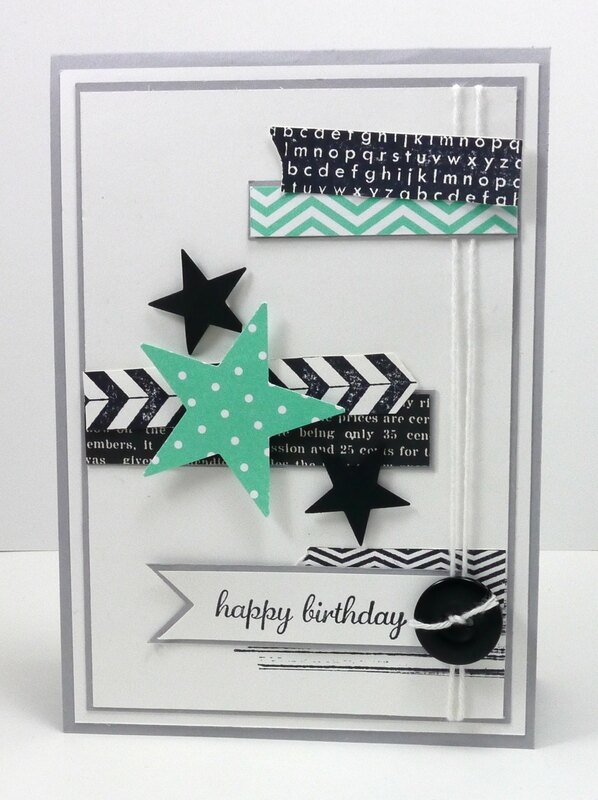 Love the colors and you have really made a card you could use for any occasion .!!! Love this – whatever style you call it! great colors and patterns – a really vibrant card! Beautiful interpretation of the sketch! I love whatever it is you’re channelling! The colours are really packing a punch on that clean white background. Great card! Narelle…this is beautiful! I love it! I love Gorgeous Grunge but don’t use it near enough! I may just have to CASE this one! So awesome! I love everything on this card…colors,design,love it!! I love your birthday card Narelle! You definitely rocked the sketch! Love this card! Great mix of patterns and color!